Victoria's Lliam Hildebrand, who made his living in the oilsands, is heading up a new organization that is advocating for green energy opportunities for those hurt by low oil prices. The downturn in Alberta's oil economy is hitting many workers hard, and a former boilermaker from Victoria believes retraining for renewable energy jobs could be part of the solution. Lliam Hildebrand is the founder of Iron and Earth, an organization that advocates for retraining opportunities for oilsands workers and hopes to soon provide those opportunities. 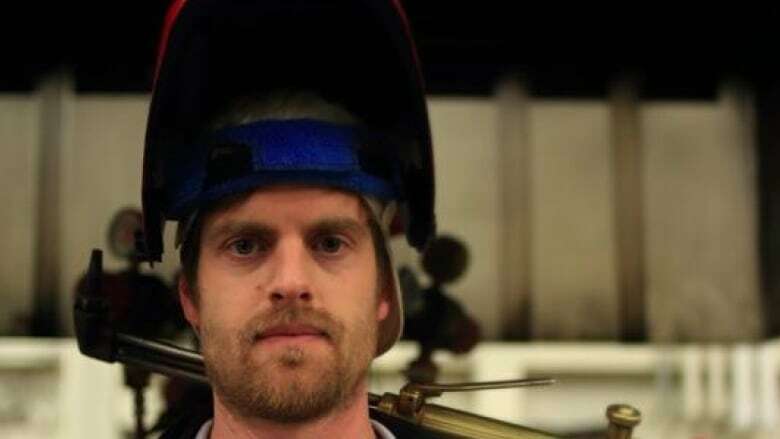 As a boilermaker himself, he says he realized his skills could be useful in a green future. The company he was working for in Victoria was not only building equipment for the oil industry, but also working on technology for things like wind farms. "I realized that my trade was both creating the issues related to climate change and was potentially a great solution … that my trade would be the answer to a lot of these climate change issues," Hildebrand told All Points West host Robyn Burns. Hildebrand went to the oilsands six years ago, and says many of his co-workers had the same concerns about the environment as he did, and also saw similar opportunities in green energy. He says now that oil prices have dropped, it's time for trades to be diversifying. 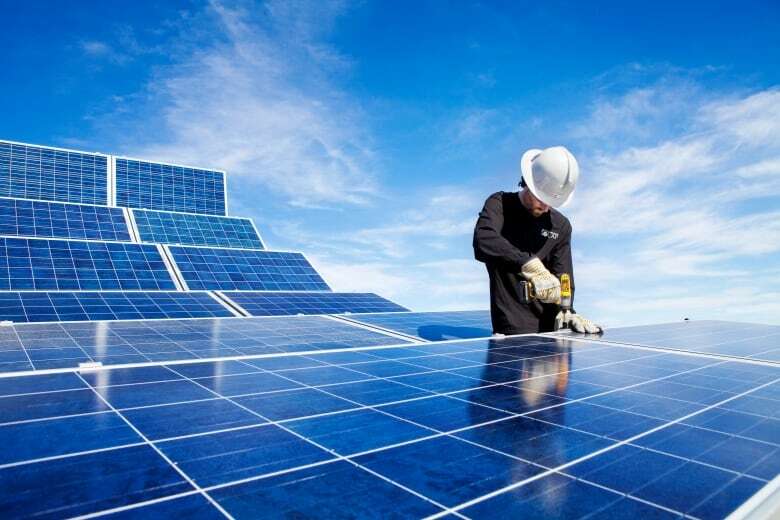 Iron and Earth wants to start off by training 1,000 oilsands workers as solar panel installers. He says the group needs support from the Alberta government to make the training happen, and described policymakers in that province as "excited" about what the organization can do. "It only takes a five-day program for a journeyman electrician to be able to install solar infrastructure," he said. "My story is another example: I'm a steel fabricator, welder, boilermaker, and I didn't require any retraining — all I required was the blueprint, the steel and the manufacturing facility to build industrial composters that generate energy and soil." Hildebrand says he hopes to begin training workers in the fall.